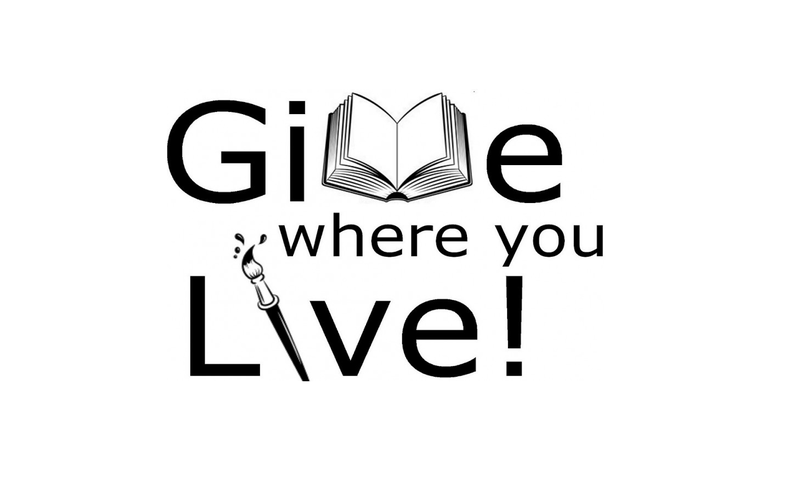 JASPER -- The second annual ‘GIVE WHERE YOU LIVE!’ day of giving campaign aimed at supporting arts’ and literacy initiatives in Jasper will be held on Friday, October 26, 2018, with activities planned for the entire day. This year’s campaign will specifically benefit programming at the Jasper Public Library, stage equipment at the Jasper Arts Center, and ongoing facility and programming needs at the Astra Theatre. The inaugural 2017 GIVE WHERE YOU LIVE! campaign raised more than $70,000. This year’s GIVE WHERE YOU LIVE! campaign will be another day filled with events, activities, and other opportunities in which the public can participate and, in turn, support the effort. Students are off school that day, so there is a concentrated effort and focus on children’s activities with special events at the Train Depot in the morning and the Astra Theatre that afternoon. The day will conclude with a showcase of local talent of all ages with the “Very Big Show (of Support)”. Tax-deductible donations may be given at any time prior to or on October 26 at the GIVE WHERE YOU LIVE! website www.GWYL.org. There are various giving levels, most of which are complemented by an entry into a raffle for a number of different incentives. Some of the incentives included in the raffle are: a singing telegram delivered by members of Actors Community Theatre, a canvas paint party at the Jasper Arts Center, a private escape room for the winner and seven friends, and a birthday party package with the Dubois County Bombers at League Stadium in Huntingburg for up to 15 children. Multiple donations would also increase raffle entries and, ultimately, the opportunity to win. New for this year’s event, is the “Top Donor Donor Business/Organization Contest”. The business (whether through a corporate donation or through employees pooling money) that is the top dollar donor will receive a private movie screening at the Astra Theatre with pizza provided by Papa Johns. 7 pm, The Very Big Show (of support), a variety show featuring local talent, Jasper Arts Center, $10 ticket with full proceeds going to #gwyl2018, children under 10 are free (tickets may be reserved at https://bit.ly/2zZBtEn. All proceeds from the day’s events, including the variety show, will benefit the Jasper Public Library, the Jasper Arts Center, and the Astra Theatre. For more information about the 2018 GIVE WHERE YOU LIVE! day, visit www.GWYL.org, www. JasperArts.org, www.jdcpl.lib. in.us, and/or www.TheNextAct.org, or follow any of the three entities on all major social media platforms (Facebook, Twitter, and Instragram).